“Float or Sink?” is a science project that many kids have done by the time they are 4, but somehow, we missed it. 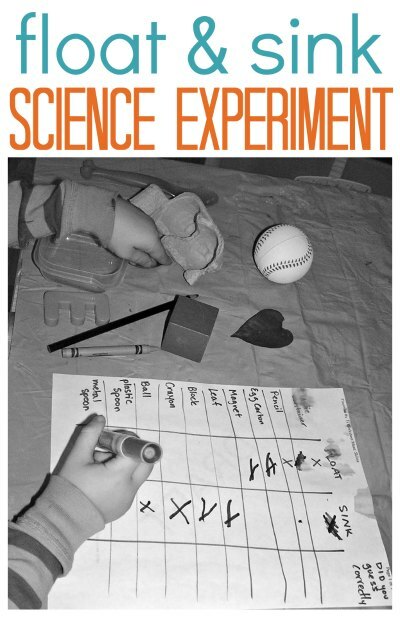 Kiddo was reading a Curious George book and in the back was this classic science activity, which he wanted to try. Also, it involves water, and he likes any activity that uses water! It’s so simple, and yet so fun. 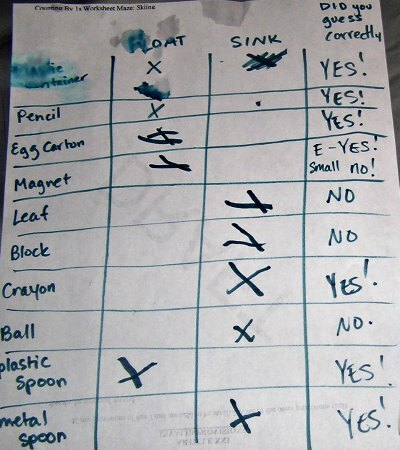 Have your kids experimented with floating and sinking objects yet? You’re never too old for float and sink….great experiment and record keeping.